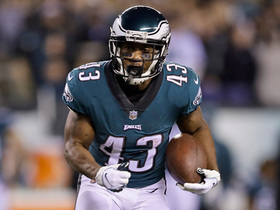 Sproles said he will wait until May to make a decision on retirement, The Press of Atlantic City's David Weinberg reports. Analysis: Coach Doug Pederson recently said he'd like to keep Sproles in Philadelphia for another season. While he hasn't explicitly said so, the 35-year-old running back seems to be deciding between the Eagles and retirement, rather than weighing offers from other teams. The trade for Jordan Howard provides some bulk in the Philadelphia backfield, but the team still lacks a reliable option for passing downs. Eagles coach Doug Pederson said he hasn't talked to Sproles since the end of the season but would love to have the 35-year-old on the team in 2019, Zack Rosenblatt of The Newark Star-Ledger reports. Analysis: An unrestricted free agent, Sproles still hasn't announced his decision on retirement, and it isn't entirely clear he'd stay in Philadelphia if he were to continue his football career. The Eagles could certainly use a veteran presence in the backfield, as their current depth chart holds Corey Clement (knee), Wendell Smallwood, Josh Adams, Boston Scott and Donnel Pumphrey. The team is also maintaining dialogue with Jay Ajayi (knee) and likely will add a running back in the upcoming draft. Sproles said after Sunday's 20-14 loss to the Saints in the divisional round that he hasn't decided if he wants to play a 15th NFL season in 2019, Zach Berman of The Philadelphia Inquirer reports. "I really don't know yet," Sproles said, when asked about his future in football. "I was going to take time away and then I was going to make my decision." Sproles rushed 13 times for 21 yards and caught two of three targets for 13 yards in Sunday's 16-15 wild-card-round win over Chicago. Sproles had seven carries for 24 yards and caught two of three targets for 12 yards in Sunday's 24-0 win over Washington. Sproles rushed nine times for 32 yards and caught three of six targets for 76 yards and a touchdown in Sunday's 32-30 win over the Texans. Analysis: Sproles' man whiffed while attempting to tackle him in the flat, and the 35-year-old took it 37-yards to the house for a first-quarter touchdown. He also drew the start and led the team in rushing while seeing a season-high nine rushing attempts, more than he had in his last three games combined. Josh Adams, meanwhile, saw just 11 carries. Accordingly, none of the Eagles' backfield options make for reliable fantasy choices Week 17 at Washington. Sproles rushed three times for 30 yards and caught three of four targets for 16 yards in Sunday night's 30-23 win over the Rams. 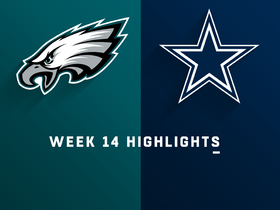 Sproles rushed once for two yards and caught all three of his targets for 34 yards and a touchdown in Sunday's 29-23 loss to the Cowboys. 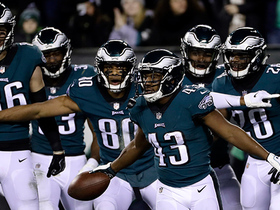 Analysis: Sproles caught a ball in the right flat and barreled through two defenders to get in the end zone and tie the game with 1:22 remaining in regulation. In just his second game back after missing 11 weeks with a hamstring injury, the 35-year-old saw 22 offensive snaps, more than twice what he got the week prior. With Corey Clement almost certain to miss time with what is likely a sprained knee, Sproles' role may expand even further Week 15 on the road against the Rams. Sproles rushed four times for 22 yards and a touchdown in Monday night's 28-13 victory over Washington. Analysis: Sproles scored his first touchdown in almost two full years despite seeing just nine offensive snaps in his first game action since injuring his hamstring Week 1. He also handled punt-return duties for Philadelphia, returning three kicks for 19 yards. Oddly, the 35-year-old was left out of the passing game, but Eagles probably wanted to ease the veteran back into action. Look for him to see his role gradually increase over the remainder of the season, starting with a Week 14 matchup in Dallas. 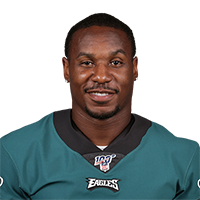 Sproles (hamstring) is active for Monday's game versus the Redskins, Eliot Shorr-Parks of Sports Radio 94 WIP Philadelphia reports. 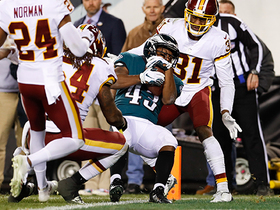 Analysis: In his first appearance since Week 1, Sproles may not be featured like he was in that contest due to the emergence of Josh Adams (hip). Considering he's averaged 3.3 catches, 4.7 targets and 6.0 carries per game during the Doug Pederson era, Sproles should get in the act behind Adams and alongside Corey Clement. Sproles (hamstring) is listed as questionable for Monday's game against the Redskins. Analysis: Martin Frank of The Delaware News Journal reported earlier Saturday the veteran running back plans to play Monday, however Sproles is expected to be worked back into the offensive rotation slowly. An injury to Josh Adams may rush that timeline somewhat, but with the likes of Corey Clement and Wendell Smallwood still available and healthy, Sproles is unlikely to see a significant amount of snaps regardless of Adams' game-time status. Sproles (hamstring) is expected to be active for Monday's game against Washington, Martin Frank of The Delaware News Journal reports. Sproles (hamstring) plans to suit up for Monday's game against Washington, Daniel Gallen of PennLive.com reports. Sproles (hamstring) officially was a limited practice participant Thursday. Coach Doug Pederson said Sproles (hamstring) will practice in limited fashion Thursday, Jeff McLane of The Philadelphia Inquirer reports. Analysis: When Sproles returned to practice Nov. 8, he immediately suffered a setback that has kept him out for an additional three weeks. With that, the Eagles will likely be cautious with the veteran tailback Thursday, and his status for Monday's game against the Redskins remains up in the air. Sproles (hamstring) will not play Sunday against the Giants, Dave Zangaro of NBC Sports Philadelphia reports. Analysis: Sproles returned to practice Nov. 8 and immediately suffered a setback, but the Eagles remain hopeful he can play at some point this season. His inability to practice in any capacity this week suggests he's unlikely to return for Week 13 against Washington. Sproles (hamstring) isn't practicing Wednesday, Dave Zangaro of NBC Sports Philadelphia reports. Analysis: Sproles returned to practice two weeks ago and immediately suffered a setback with his lingering hamstring injury. He doesn't seem likely to return for Sunday's game against the Giants. Sproles (hamstring) has been ruled out for Sunday's game in New Orleans, Zack Rosenblatt of NJ.com reports. Analysis: Sproles will miss out on a chance to face one of his former teams after suffering a setback during Wednesday's practice. 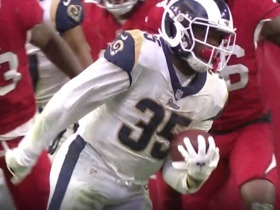 He'll likely miss time beyond Week 11, leaving Josh Adams, Wendell Smallwood and Corey Clement to form a backfield committee without a proven pass-catching threat. Sproles (hamstring) didn't participate in Thursday's practice. Analysis: Coach Doug Pederson said that Sproles would focus his efforts on rehabbing his lingering hamstring injury rather than practicing, so the veteran's non-participation in the first two sessions of the week doesn't come as a surprise. 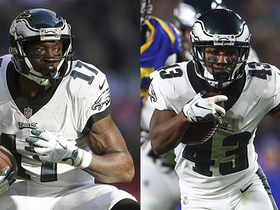 With Sproles trending toward missing his ninth consecutive game Sunday against the Saints, the Eagles will lean on a backfield trio of Wendell Smallwood, Josh Adams and Corey Clement. Coach Doug Pederson said that Sproles' main focus for this week will be continuing to train and rehab his hamstring injury, Jeff McLane of The Philadelphia Inquirer reports. Analysis: The Eagles aren't officially listing Sproles as out for Sunday's game against the Saints, but the fact that Pederson didn't offer any indication the running back is close to returning to practice suggests the 35-year-old's absence will be extended by at least another week. Sproles may need to demonstrate meaningful progress in his rehab over the next several days in order to avoid a move to injured reserve, which would spell an end to his season. Sproles is expected to remain out for multiple weeks after aggravating his hamstring injury during Wednesday's practice, Ian Rapoport of NFL Network reports. Sproles (hamstring) won't return for Sunday's game against Dallas, but coach Doug Pederson still expects the 35-year-old to play before the end of the season, Dave Zangaro of NBC Sports Philadelphia reports. Analysis: Sproles returned to practice Wednesday for the first time since Week 1, only to aggravate his hamstring injury and then sit out Thursday and Friday. Despite the optimism from Pederson, it's fair to wonder if Sproles really will make it back this season. The Eagles will continue to deploy a backfield committee consisting of Wendell Smallwood, Josh Adams and Corey Clement (illness). Sproles (hamstring) was not spotted at Friday's practice, Dave Zangaro of NBC Sports Philadelphia reports. Analysis: Sproles aggravated his hamstring injury at Wednesday's practice, and unless he gets some work in behind the scenes Friday, he will have missed two days of practice since. 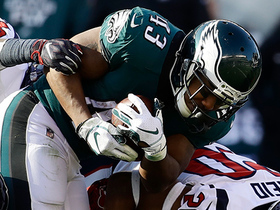 The Eagles were hoping to get Sproles back this week, but that appears unlikely at this point. Sproles (hamstring) didn't participate in Thursday's practice, Mike Kaye of NJ.com reports. Sproles aggravated his hamstring injury during Wednesday's practice and is now expected to remain sidelined for Sunday's game against Dallas, Adam Schefter of ESPN reports. Sproles (hamstring) was a limited participant Wednesday in his first practice appearance since Week 1, Zach Berman of The Philadelphia Inquirer reports. Coach Doug Pederson said he expects Sproles (hamstring) to practice this week and play Sunday against the Cowboys, Zack Rosenblatt of NJ.com reports. 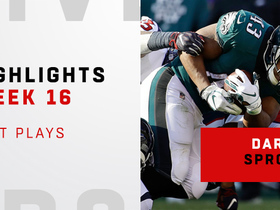 Watch the best plays from Philadelphia Eagles running back Darren Sproles' 108-yard game in Week 16. Philadelphia Eagles quarterback Nick Foles finds running back Darren Sproles on fourth down for 37-yard touchdown. Philadelphia Eagles running back Darren Sproles beats Houston Texans lineback Zach Cunningham for long catch and run. 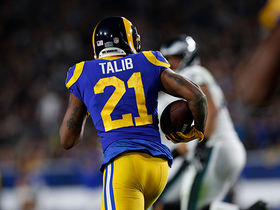 Los Angeles Rams corner back Aqib Talib's first interception as a Ram comes at key time. Philadelphia Eagles quarterback Carson Wentz throws a 6-yard touchdown pass to running back Darren Sproles. 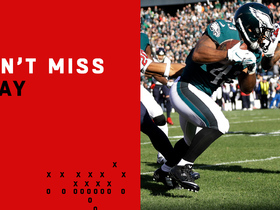 Philadelphia Eagles running back Darren Sproles comes up big on this 25-yard fourth-down conversion.